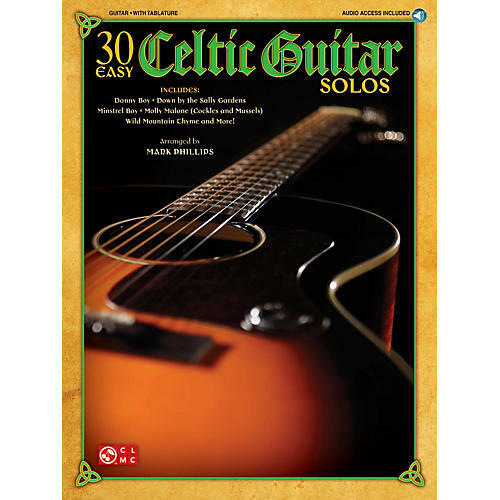 30 Celtic classics arranged so beginning guitarists can enjoy them. Includes: Carrickfergus · Danny Boy · Down by the Sally Gardens · The Lark in the Clean Air · Loch Lomond · Minstrel Boy · Molly Malone (Cockles & Mussels) · The Star of the County Down · Water Is Wide · Wild Mountain Thyme · Ye Banks and Braes O' Bonnie Doon · and more. The CD includes demonstrations of each arrangement.